The CENTER OF DENTAL SERVICES began as a partnership between Dr. Richard J. Lukenda and Dr. Richard L. Sufficool in April 1978. As recent graduates of Fairleigh Dickinson University School of Dental Medicine, both doctors received training in Dental Medicine which was heavily weighted in the fields of Periodontics (gum disease) and Prostodontics (tooth replacement and oral rehabilitation). The practice grew rapidly and soon the need arose for a new facility which was built and equipped to the most modern standards and utilized the highest to dental technologies. It was at this time, in 1989, that the practice incorporated the "in house" specialty of ORTHODONTICS provided by Dr. Jeffery Seiger. 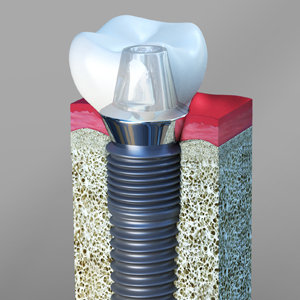 In the later part of the same year, Dr. Richard J. Lukenda completed his early phases of implant training and Implant Prostodontics became an integral part of the group practice. In 1998, Dr. Lukenda, intensified his implant training at the Mid West Implant institute, where he trained in Bone Grafting and Sinus elevation techniques which now allow treatment to the more debilitated patients untreatable before. Now, after THIRTY years of providing Dental Services to the community, local, national, and even international, the Center of Dental Services remains proud to continue its services of the highest standards of Complete Dental Care to our patients.